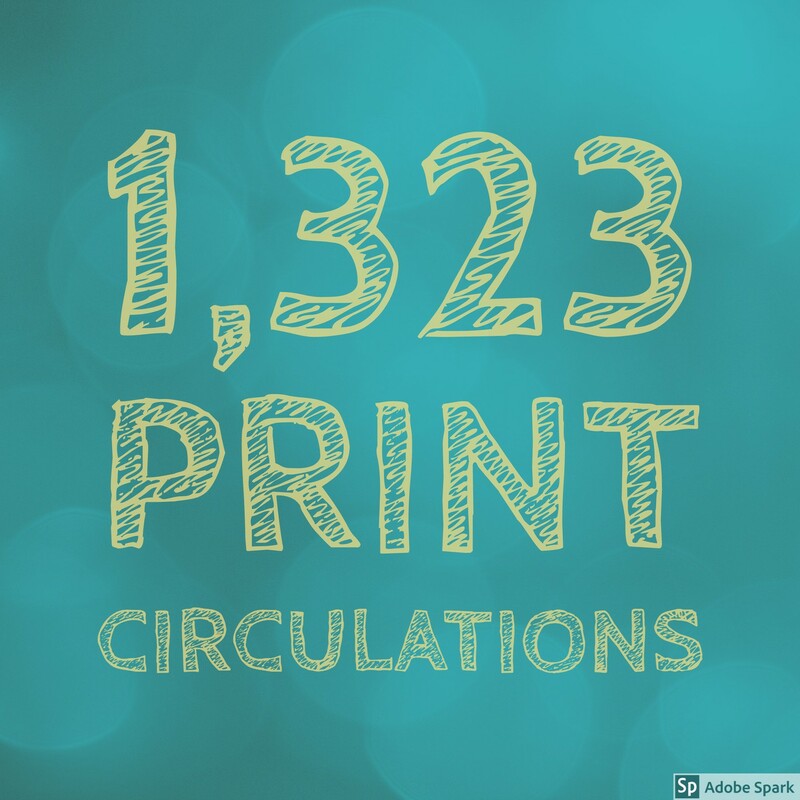 The second quarter of the school year continued with an increased library-classroom collaboration--up over 200% compared to the second quarter of 2016-2017. 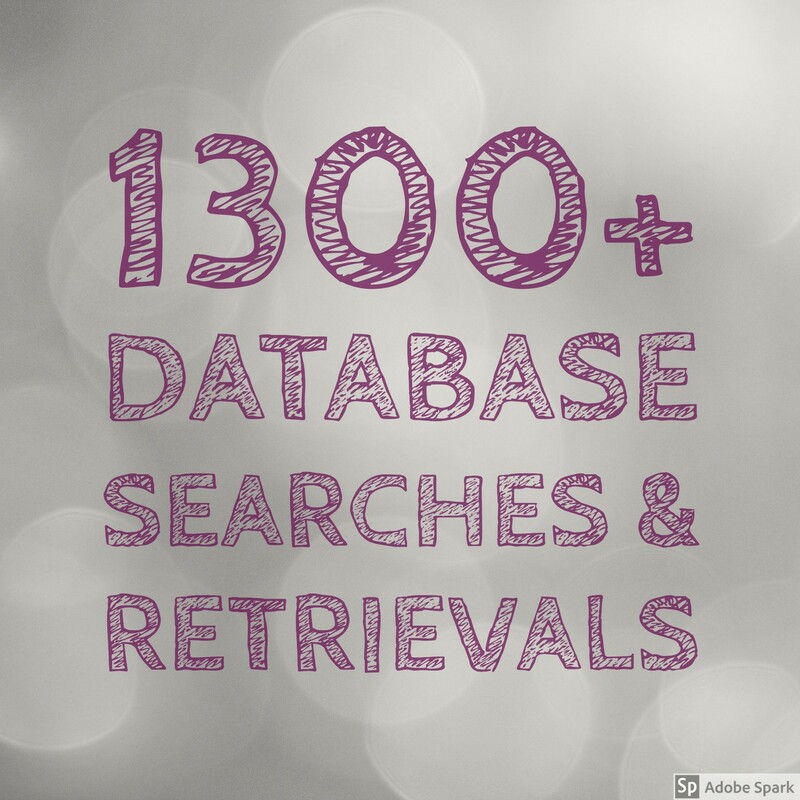 Because of this collaboration, which was mostly in support of research assignments, our database usage continues to dramatically increase. 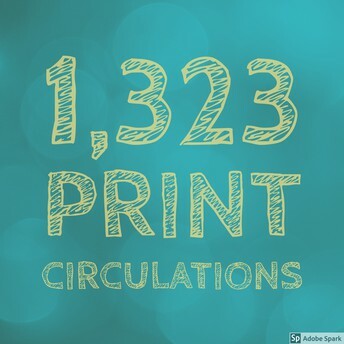 When this increase is combined with our circulation numbers of print resources (a slight increase from last year), I feel confident that our students are locating and using library resources to meet their needs. 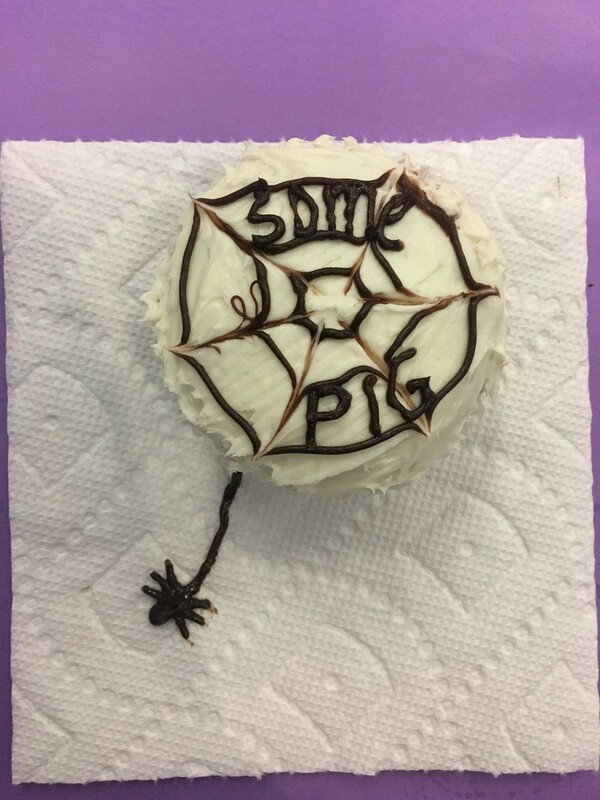 Right before exams, the Library sponsored a cupcake decorating contest inspired by a favorite book. A great (and delicious) time was had by all. 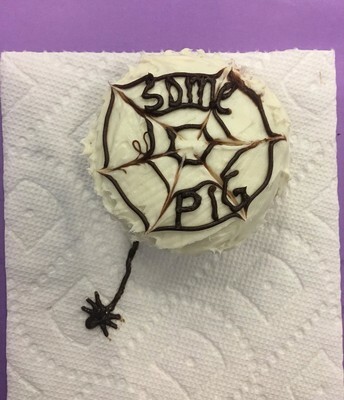 Many thanks to GobbleCakes for providing the cupcakes and decorating expertise. 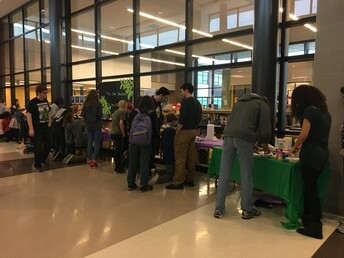 Important to note: this programming was completely conceived and organized by our Student Library Advisory Committee. 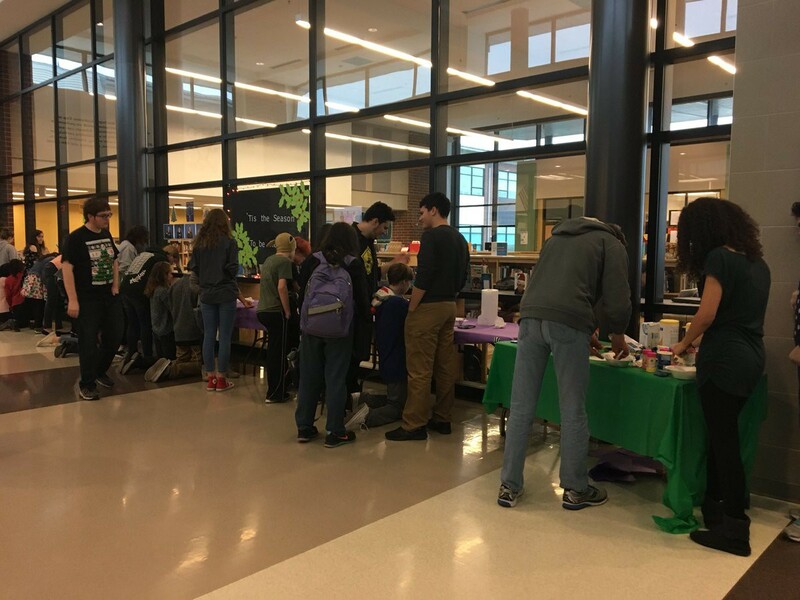 This group is still very small, but we're hoping that more programming like this one will encourage more students to take an advisory role in our Library. The Library offered 3 days of Extended Library Hours before and during midterm exams. 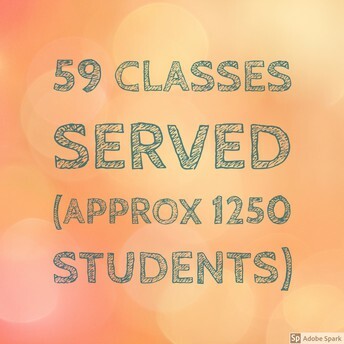 We had a total of approximately 100 students attend. 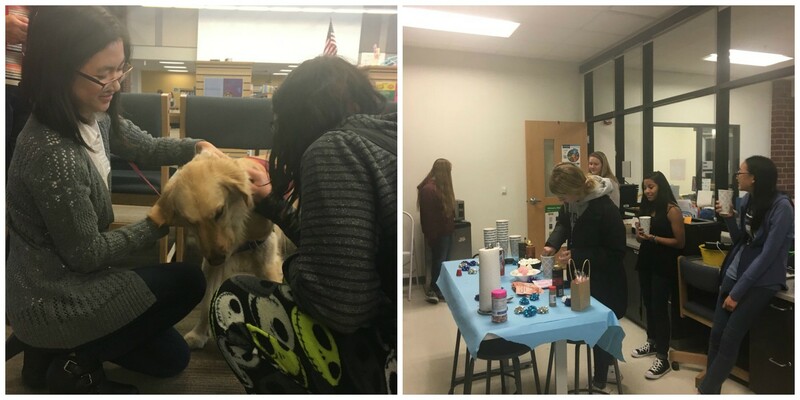 The Hot Chocolate Bar and our in-house therapy dogs--Maggie, Pepper, and River--helped ease some of our students' stress. 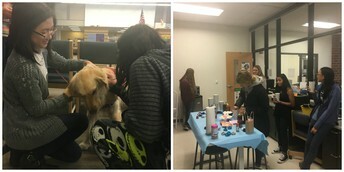 Provide a bi-weekly Design Challenge and "Make & Take" craft opportunities. Agressively market the MakerStudio to classroom teachers and collaborate with them on class activities, specifically those teaches working with our most vulnerable students. 2. Black History Month programming. 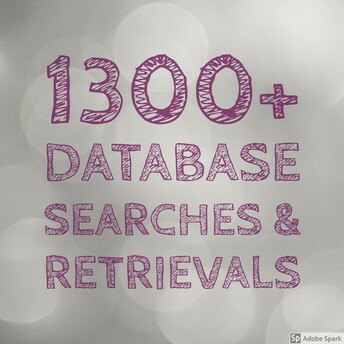 Be on the lookout for daily book recommendations, passive programming activities/contests, etc.